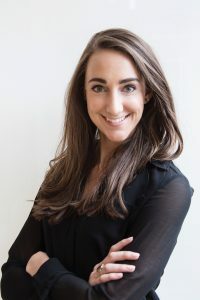 Emily Byerly is the US Marketing Executive for Burgess; the global superyacht industry leader in sale, purchase, new construction, charter and yacht management of luxury mega yachts. In her role, Emily is responsible for the planning and execution of all US based marketing initiatives including yacht shows and events while working closely with the London based marketing team. Prior to joining Burgess, Emily worked at Condé Nast as a Digital Campaign Manager at the company’s headquarters in New York City. At Condé she worked with all publications within the Condé Nast portfolio to plan and execute digital media campaigns for clients such as Dior, Chanel, Emirates, Ritz Carlton, and many others. Prior to working at Condé Nast, Emily worked in High Point, NC for Furnitureland South Inc., as the Digital Marketing Coordinator. While on the team, Emily was responsible for email marketing, social media strategy and ensuring the successful promotion of the over 1,000 brands both in-store and online. Her vast experience working across industry sectors in the digital luxury industry has proven to be a tremendous asset as her career as she continues to help brands find ways to build their presence in today’s digital markets. Emily has a B.A. in Economics from North Carolina State University and is a Global Luxury and Management alumna from the class of 2015. She currently resides in New York, NY.